Byron Coastal Real Estate is Byron Bay’s leading independent property management and sales firm; bringing an innovative, transparent and friendly approach to Byron Bay’s real estate market. Our experienced team has deep knowledge of the Byron Bay regional property market and is able to leverage extensive local, national and international networks to deliver a marketing reach not possible for most independent agencies. 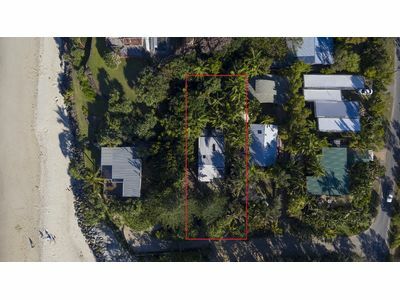 We also have Byron Bay’s largest selection of holiday and permanent rental properties at all of Byron Bay’s key locations, including: Wategos, Belongil, Clarke’s, Tallow and Main Beaches, Suffolk Park, Broken Head, Ewingsdale and the Hinterland. We think Byron Bay and its hinterland is one of the most beautiful places on earth. Whether you are looking for your dream home, an investment property or a holiday house for your annual family holiday, Byron Coastal Real Estate can help you access this unique region. Call us today on +61 (02) 66808111 for an obligation free appraisal of your property or to discuss our listings.